Now in it's 10th summer, PrimeTime Lacrosse is pleased to offer 9 different camps and clinics in Massachusetts and Rhode Island. 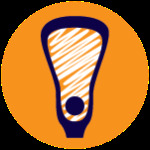 Designed for advanced, intermediate and beginner players, PrimeTime Lacrosse has a variety of program at each skill level. Building off core principles and fundamentals, PrimeTime Lacrosse camps and clinics are designed for players to focus on further developing the fundamental skills of lacrosse in a fun, safe environment and offers a chance for players to learn from top NCAA and Professional players and coaches at a terrific venues. Check out this Non Sport camp 'Girls Summer Programs 2018' with PTLax (Fall, Winter and Summer Programs)!